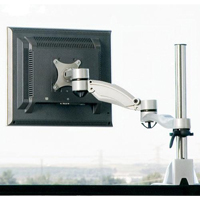 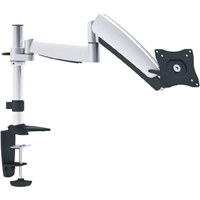 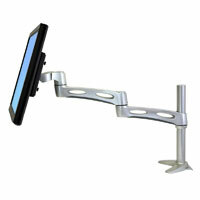 The LX HD Wall Mount Swing Arm from Ergotron is an easily adjustable wall mount arm for heavy monitors up to 50 lbs. 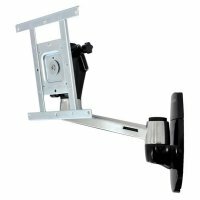 Instead of just moving the monitor forward and back in a fixed position, this swing arm allows 360° rotation, 360° pan, and 20° tilting. 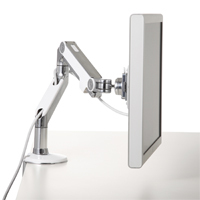 The position of tilt can be locked into place with an included knob on the pivot. 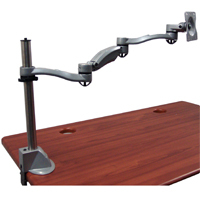 All hardware for mounting on a wood stud or concrete wall is included.